Posted On October 19, 2015 by Team iCynosure. When a girl gang meets there are loads of topics discussed from boys to fashion to travel and beauty, to girly gossip and much more. However, the one thing that remains constant in all conversations, between besties or just acquaintances is the status of our crowning glory, our lustrous locks, our HAIR. And then the conversation stirs to scary topics like hair woes, hair care, expert tips and suggestions etc. Most men stay clear of these conversations for the fear of utter boredom, cliché statements and too-many home remedies. But not the ones at Dabur and the very bold ones at Indiblogger… for they went ahead and organised a ‘Girls-Only’ meet to discuss #FrizzFreeHair. 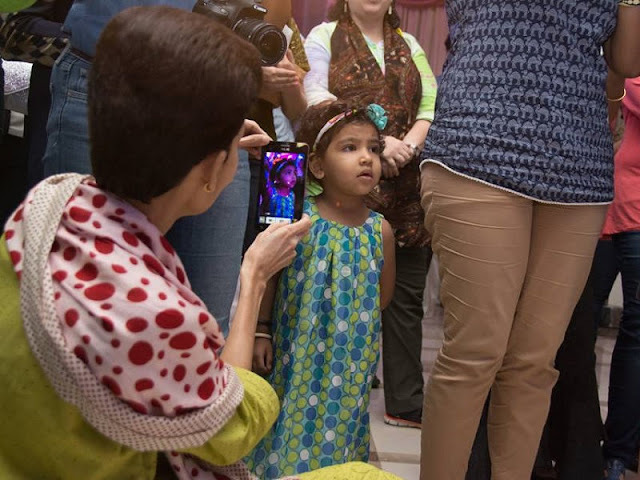 And did we throng to see if they had any solution for us…. Dabur known for its endeavours to constantly reinvent since the last seventy-five years, to satisfy customer needs as per the changing environment has yet again ventured into a new territory with a new ingredient. The company personnel took us through the company history, product developments over the years and how Dabur’s range of Natural and Ayurvedic Hair Care products help you achieve healthy, lustrous and full of life bouncy hair. Dabur has been a pioneer in including great ingredients ranging from Amla to Coconut, and then upgrading to Almond and now Jasmine in their newly launched hair oil. Backed by various hair care products from hair oil to shampoo, you can be assured that the brand has every product to cater to your needs, whatever-it-may-be. Whilst the super-sonic performance, the blogger introductions, the product launch and the sun games, I even managed to bag a shopping voucher during the in-event discussions for my home remedy hair care tip. And that you may think was the highlight of the afternoon, but no there was something much better ahead. 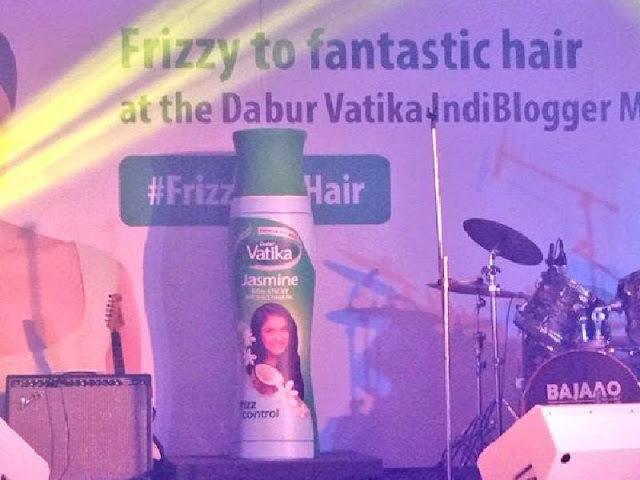 The brand not only talked, but they also walked the talk with a #FrizzFreeHair experience for every girl present. Who wouldn’t like a hair champi with the new Dabur Vatika Jasmine Non-Stick Coconut Hair Oil and then a hair wash with Dabur Vatika Black Shine Shampoo to emerge with a great looking hairstyle... NO GIRL. 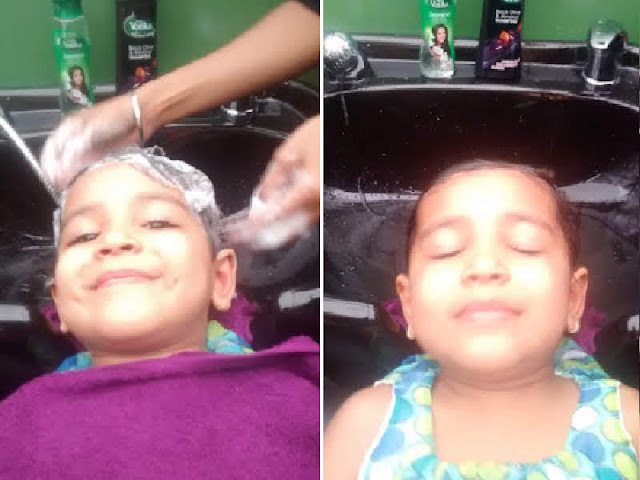 And trust me when I say that because our little #BabyBlogger was the first to take advantage of the hair styling kiosk to look and feel #FrizzFree with #VatikaJasmine. So in minutes we headed from #Frizz to #Fantastic hair and armed with the goodie bag the brand ensured we remain #HappyHair even after we were home.